Why A Abundant You is best Chiropractor in Columbus, Ohio ? Chiropractic in Columbus, Ohio is a separate and distinct primary health care profession that focuses on the clinical condition called vertebral subluxation. Vertebral subluxation includes alteration of normal spine function and its relationship to the nerve system, especially the spinal cord and spinal nerve roots. The profession’s concern with vertebral subluxation is grounded in the knowledge of the body’s inherent capacity to maintain its own health and the nervous system’s role in coordinating and controlling all body functions and adapting the body to its internal and external environments. Interference to the nerve system caused by the vertebral subluxation complex is central to the practice of Columbus chiropractic. The clinical practice of chiropractic involves the correcting of vertebral subluxations, by gentle manual or instrument adjustments. This allows the nerve system to work more effectively, allowing the body to express health. Since people of all ages experience vertebral subluxations they can all benefit from chiropractic care. Chiropractic is a personally rewarding and fulfilling health science practice. 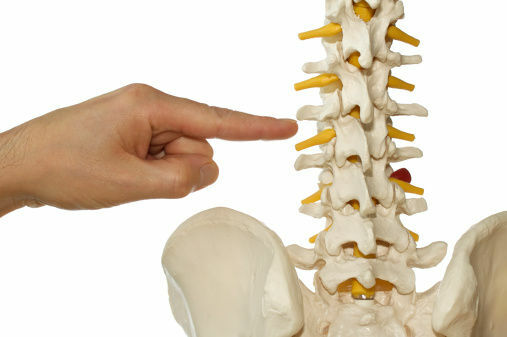 The unique and defining purpose of the profession is to locate, identify and correct, by a highly disciplined and trained procedure called an “adjustment,” aberrant vertebral articular arrangements, termed “subluxations,” that interfere with the inherent neurological, biochemical and biomechanical functions, which are essential to health in the human body. Doctors of chiropractic, as primary contact health-care providers, use the education, knowledge, diagnostic skill and clinical judgment necessary to determine appropriate chiropractic care and management. Patients genuinely love the care they receive from their chiropractors. Chiropractic is proud to boast the highest patient satisfaction levels of all the health professions. Doctors who manage a staff have the opportunity to set their own schedules that allow time for continuing education, family, recreation and travel reflecting their creative life interests. Who Uses Chiropractic in Columbus, Ohio? Columbus Chiropractic patients include whole families, newborn babies, young adults, adults, seniors, farmers, college professors, actors, factory workers and world class athletes–in other words, everyone! In addition to chiropractic’s reputation in helping people with a natural approach to symptoms and disease, chiropractic is also preventive health care at its best. Patients often find their quality of life improved in many ways regardless of their entering state of health. Chiropractic services are in high demand. Tens of millions of Americans routinely opt for chiropractic services, and this number is rapidly growing. In 1993, more than 30 million consumers made chiropractic a regular part of their health care program. A 1998 study published in the Journal of the American Medical Association by David M. Eisenberg, M.D., classifying chiropractic as the major alternative medicine profession, found a 47-percent increase in total visits to alternative medicine practitioners (primarily chiropractors) from 1990 to 1997. The alternative medicine practitioner visits increased from 427 million in 1990 to 629 million in 1997, exceeding total visits to all U.S. primary care physicians. The population of doctors of chiropractic in active practice in the United States is estimated to be 53,000. The ratio of D.C.s to the general population, based on the Bureau of the Census figures, is estimated to be one doctor of chiropractic for every 5,100 citizens. Clearly, more doctors of chiropractic are needed to care for the population. Why Choose Abundant YOU Chiropractors? Our advanced Columbus chiropractic care is a safe and effective way of helping you to restore and maintain your optimal health, no matter what state your health is currently in. Your baby may not be sleeping, feeding or going through expected growth and developmental stages. These are just a few examples of when there is interference to your bodys nervous system. So whatever the symptom, Chiropractic may be able to help by reducing stress to the nervous system and allowing the body to heal and function optimally. What the Science Says About Chiropractors? Researchers have studied spinal manipulation, a chiropractic adjustment, for a number of conditions ranging from back, neck, and shoulder pain to asthma, carpal tunnel syndrome, fibromyalgia, and headaches. Unfortunately, many people don’t realize the full benefits of chiropractic care. Majority of the chiropractic research is focused on low-back pain and arthritis. In fact, chiropractic care has proven to be even more effective at treating pain than medications. A 2012 study on spinal manipulation proved that adjustments were more effective in treating acute neck pain than any medication on the market. Not only was it more effective, but a similar study in 2013 revealed that the patients that chose chiropractic also paid less for their treatment overall. With chiropractic care having numerous body benefits – directly because of a better functioning nervous system due to proper alignment of the spine. It’s a no brainier its the most popular form of alternative health care in America.